We are a family firm based in the North East of England and have been in business for over 33 years, building our business up through being honest and fair. If you are looking for something that you can't see online please contact us with your requirements. Export orders taken with full container and customs service available. Tractors and Machinery bought and sold throughout the UK and Globally with our trading partners around the world. With customers in 26 different countries and UK customers from the Shetlands to the Falklands we can deliver the goods. So if you are looking for a Tractor, ATV or machinery, fill in our enquiry form and send us your requirements, we may just be able to help! If you are looking to retire, upgrade or have surplus equipment send us the details and we may well be the buyer for you! 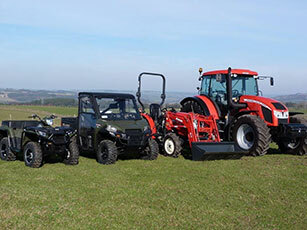 As an appointed Polaris ATV distributor, Zetor and Branson tractor distributor for Northumberland and County Durham, we offer a full sales, maintenance, service and repair backup. Polaris manufacture a utility range of Polaris sportsman ATV’s and Polaris Ranger utility vehicles. Petrol - Diesel – 1 seater to 6 seater – 4x2, 4x4, 6x6. Zetor tractors are a European quality tractor company that has a strong history of reliable, simple tractors with an excellent total cost of ownership and fuel economy. Come talk to us about Major, Proxima, Forterra. As the only UK company with 10 years or more years experience with importing ATV sprayers from Fimco industries in the USA (the biggest ATV sprayer manufacturer), we have the products, the knowledge and the backup/spare parts for when you need it. We also can supply new machinery from, Quicke Alo loaders, Fleming Agri, Metal-Fach, Wessex farm machinery, Chapman machinery, TFM engineering and Concept Perugini. 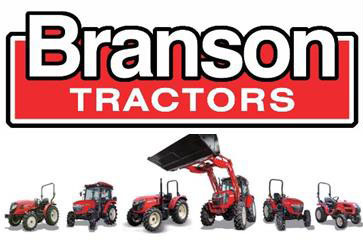 We are a Branson Tractor distributor, so why not give us a call to find out more about these compact tractors for your groundcare, amenity and grasscare tasks. We have a new facebook page where we will be posting all about our new stock and events at Davies Tractors Ltd. Thank you for all the new likes and please share with all your friends.